Posted on 01/25/2019 by Mickey McCarter	in Live Review and tagged Duran Duran, England, London, new wave, The Fillmore New Orleans. New wave heroes Duran Duran perform at a big festival in the Cayman Islands soon, and then they come ashore for a short stint of dates in the United States, including two nights at The Fillmore New Orleans. The first night at the sparkling new Fillmore sold out but limited tickets remain for Duran Duran’s show on Wednesday, Feb. 20. Duran Duran crisscrossed the country in support of Paper Gods, the band’s 14th studio album, a few short years ago. That record saw their return to the US Billboard charts — not that admirers of the band require that motivation to support them! 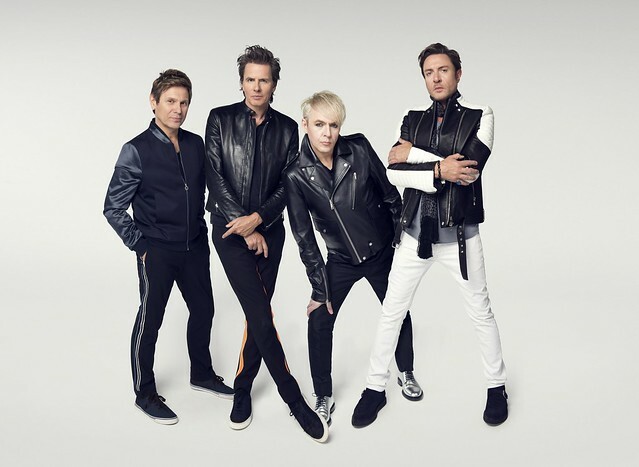 Duran Duran continue to win new fans and excite their existing fanbase through the power of their heydey ‘80s hits, which withstand the test of time in a way that few pop songs could ever hope to do. Duran Duran have returned to the studio to begin work on their next album, and the band will celebrate the 40th anniversary of its self-titled debut record in 2021, making the current tour a nice respite in a way. But what powers Duran Duran is the creative engine formed by bandmates Simon LeBon, Nick Rhodes, John Taylor, and Roger Taylor, who continue to create uplifting, unparalleled music of substance. Following Duran Duran provides the listener with sustained good cheer and a sense of invincibility along with a realization of those elements that constitute our better selves. There is no better band to experience live in any setting, and surely doubly so during Mardi Gras season — laissez les bons temps rouler!